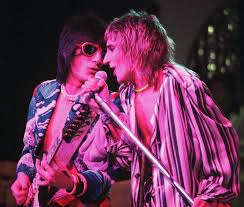 I met a guy recently who didn’t know that Rod Stewart was in a rock and roll band. He knew he was an old crooner of course but hadn’t realized Rod was once a rocker. "Let me tell you", I said, rising to my feet. Reconsidering, I went home and played "Seems Like A Long Time" and then some of the Faces unforgettable tracks. And it seems like a long time since the last newsletter came out in 2012. So, okay. It has been. I’ve been busy. "One thing vampire children have to be taught early on is, don't run with a wooden stake."" Out of a number of substances, including infusions and teas, tested for reducing or preventing the effects of hangovers Sprite was found to be the most effective. In my view this is further justification for the increased consumption of Tequila Pops (a.k.a. Tequila Slammers) and not only in the evening. Consider it as your regular breakfast drink. Put away that orange juice. It doesn’t work. Throw back a Tequila Pop each morning with your cereals. Any hangover you may have had will rapidly be swept away on a giddy wave of joyfulness. This assumes you make your Tequila Pop the way I do, with Sprite. And Tequila. "I think a good gift for the President would be a chocolate revolver. And since he's so busy, you'd probably have to run up to him real quick and hand it to him"
A drug-like compound has been used to halt brain cell death in mice for the first time. The compound works by blocking a faulty signal in brains affected by neurodegenerative diseases, such as Alzheimer's, which shuts down the production of essential proteins, leading to brain cells being unprotected and dying off. "I remember how my great-uncle Jerry would sit on the porch and whittle all day long. Once he whittled me a toy boat out of a larger toy boat I had. It was almost as good as the first one, except now it had bumpy whittle marks all over it. And no paint, because he had whittled off the paint." The anniversary was last year. Yes of course. How time flies. But have I seen the Christmas edition yet? No. Have I seen all twelve Doctors stand up against threats unknown? No. Because living in a foreign country, the BBC allows me only to watch BBC World Service. Have I bought the DVD’s? Well, no. I’m not sure I’d got that far for the Doctor. Either way, I’ve rather missed the last few years of the Doctor. Apparently it is now the longest running Television series ever, globally. I count myself lucky to have been in the UK for the stunning 2005 reboot of Doctor Who with Christopher Eccleston and Billie Piper. "If you go flying back through time and you see somebody else flying forward into the future, it's probably best to avoid eye contact." Read them all, they're great fun. Iain Banks died on 9th June 2013. He was a great writer. Like so many others I read Espedair Street and fell in love with his writing. Frederik Pohl died on 3rd September 2013. He was on 93. His website \http://www.frederikpohl.com/ doesn’t yet reflect this sad event. A wonderful writer famous of course for the "Gateway" series but what I’ll always remember (because I read it as a young teen) is "A Plague of Pythons". Oh and "The Age Of The Pussyfoot" and "Jem". Oh and "Man Plus". And of course, "The Space Merchants". Farewell, Mr Frederik Pohl. You made us think about difficult stuff and you made it so darn exciting and enjoyable to do so. Daniel Keyes died June 15 2014. He wrote the lovely and thought-provoking short story that became a novel "Flowers for Algernon". He also worked with Stan Lee at Atlas Comics, from which the wonderful Marvel Comics was born. Now, apologies for drifting away from SF, but some mentions of some musical departures. Kevin Ayers died in February 2013. He certainly wasn’t an SF writer but was a singer/composer of extraordinary imagination. He wrote some astonishingly beautiful music. A member of the very first band I ever saw: "Soft Machine" (with my mate Alan Isaakson) band. He wrote and sang one of my personal all-time favorite oddities: "Stranger in Blue Suede Shoes". Lou Reed died on October 27, 2013. Of course his music had a massive impact on so many, me included. The music of the Velvet Underground has been an inspirational source for over forty years. His solo albums were astoundingly innovative and powerful. My condolences to his wife, Laurie Anderson, and those who knew him well. Bobby Womack died in June 2014. Another sad loss. For some stupid reason, I remember Womack and Womack’s Teardrops above everything else, which I suppose is apt. Joe Cocker has just died. He passed away on 22 December 2014. It’s his performance at Woodstock that will linger always with me. I’m lost for words. "If a kid asks where rain comes from, I think a cute thing to tell him is, 'God is crying.' And if he asks why God is crying, another cute thing to tell him is, 'Probably because of something you did." What a fantastic couple of years it has been for space exploration! Probably the most important since the Moon landing back in 1969. We’ve finally got commercial – albeit sponsored - companies attempting space flights. Richard Branson’s Virgin Galactic should be carrying its first space tourist next year. We’ve got new engines; we’ve landed on Mars with the Curiosity robot explorer. We’ve had two Asteroid Mining companies announce themselves. ESA has sent a craft to a comet that’s on its way to the sun, and landed on that comet. On February 15th 2013 we had both the asteroid impact in Ukraine and the DA14 asteroid speeding passing the Earth just 27,700km at its closest. Perhaps those have helped us concentrate on escaping the gravity well. 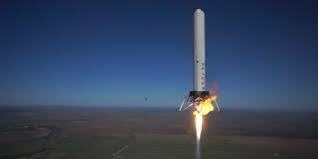 SpaceX’s Grasshopper is inspiring. Ascending and descending on a pillar of flame was fantastic. The more the technology becomes reliable and cheap, the more possibilities unfold. I think we’re getting up and out there. I think it is really beginning to happen. Twelve years ago I said in an early SF Reviews newsletter that it would be about thirty years. I think that was right – within twenty more years we’ll see an explosion of space activity and I’ll go so far as to say there’ll be permanent encampments on both the Moon and Mars. What’s this big worry about astronauts going crazy on a long Mars journey? I could happily spend a year cooped up in a space capsule. Tequila takes up very little storage space. And I’ll know exactly what books to take. Oh hold on, can you smoke in space? An admission of idiocy: for the first 12 years of SF Reviews I scanned book covers as jpegs (all well and good). I manually resized them to save as .GIF paw prints for the smaller images show alongside each book review. For most of those years my todo list reminded me to look at generating the GIFs automatically. I’d always assumed it was likely to be a bit complicated. Finally last year I decided to check to up on how to do tha in Python (still, in my view, the world’s best programming language). Oh, it’s so easy. Using PIL, the Python Imaging Library, it’s just eight lines of code to check if the GIF already exists and if it doesn’t, to create it. Oh boy, wish I’d look at that a while ago. Still, the software that generates SF Reviews website includes this code now. In fact I’m slurping my early evening Tequila and listening to "Do all you want to do" by Eddie and the Hotrods, while watching the site regenerate all the GIFs automatically. It’s turned into a rather good day. And, hey, Eddie’s now doing "The Power and the Glory". Pretty darn cool. "Maybe in order to understand mankind we have to look at that word itself. MANKIND. Basically, it's made up of two separate words 'mank' and 'ind.' "What do these words mean? It's a mystery and that's why so is mankind." Greg bear goes adrift when he steps outsie the SF genre an "Vitals" is cvertinly not SF. Similary, "Impact" is not |SF, just a near-future thriller. However, Alastair Reynold's "Terminal World" had a great concept. It was an enthralling, puzzling world but te plot was dismal, meandering and dull. For those fans of the Sunday morning Japanese Superhero hour television, I should mention that the Kamen Rider series seems to have been in a bit of a rut for the past two or three years. The glory days of Kamen Rider Double (Television series and fab toys) are long gone. That glamour and excitement didn’t last through the flip-to-be-hip style of "Kamen Rider OOO" (pronounced "owes" not "o-o-o") and Kamen Rider Forze, even with the spaceship. Mini Max, one-time fervent fan, has lost interest and spent the programme timeslot throwing failed origami at the screen. 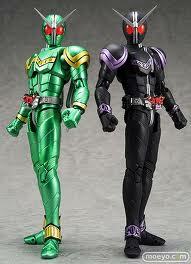 The series successor was Kamen Rider Wizard who was; I’m disappointed to report, equally naff. However the current incarnation, Kamen Rider Gaimu, rises above the basic idiocy of naming the ranges of weaponry and armour according to a fruit theme. There’s orange armour, grape armour and rather fetchingly-named banana armour (almost cued for a hit from the 80s there, but I won’t). I rather miss "Doctor Who", actually. Oh heck, the new Kamen Rider starts in October. He’ll be "Kamen Rider Drive" and with some sort of super car, not the traditional motorbike. What’s going on with the world? Drat, it's already December and I've missed the new incarnation due to my relocation (see below). "For mad scientists who keep brains in jars, here's a tip: why not add a slice of lemon to each jar, for freshness?" And thinking of Doctor Who and things English, here’s the breaking news, The Max family has relocated from Japan to Singapore. No more ivory tower in Tokyo. Oh no, it’s the condominium lifestyle in Singapore. The apartment buildings surround the open-air swimming pools. There’s a gym for exercising a little after lounging by the pool all day. 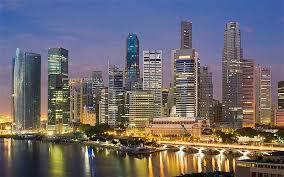 Singapore is English-speaking and although it will be sad, of course, to abandon my impressive Japanese language skills, it is good to understand to what I’m agreeing. There's no chance that the next reviews will be out in a month. Just sit back. Don’t read the reviews. Get the books and read those instead. That's all for now. As always, tell me what you think about the books, the reviews and the site. Do let me know if there are books you think I should review.